This one is not optional. My friend is getting married in 3 weeks and flags like these are the outdoor refreshment tent decorations. Top priority. Save the Dates! For our wedding! Of course, there are about a gazillion other things that stem off onto a list of their own around this one (where? when?...) but I am most excited at the moment to design our letterpress save the dates. So many options! 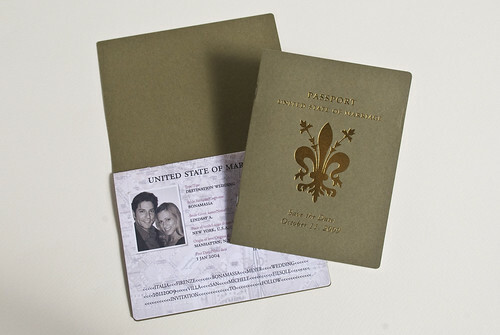 And I feel like this design decision sort of sets the tone for the rest of the wedding design, so its a big one. I really want to make this dress for a certain little girl who has recently started not only walking, but dancing! Quilts! 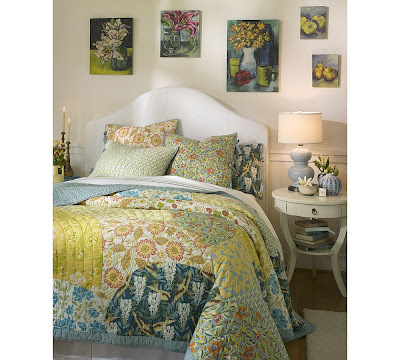 We really need a picnic/car quilt, and the new porch hammock needs a quilt, and the couches I am scheming to get should be decked out in celebratory quilts, and the guest bed really should have one, and, and, and... I have a lot of quilts in mind. Maybe these aren't all summer quilts, but the picnic and hammock ones are sort of on a deadline. 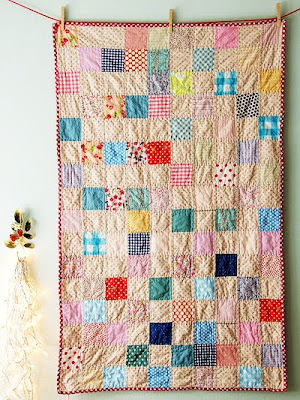 I love love love the colors of Alicia Paulson's quilts - just light and airy and perfect. And then there are these, and this that I just can't quite figure out how to put together, and any of hers (see the right sidebar for all her quilt patterns), and all of these. Putting a headboard on our bed is also top priority because the pillows keep slipping down behind the mattress. I am fully convinced that I can recreate this one from Pottery Barn myself. And if I make it slip-covered, decor changes will be no problem! So clever. That's all for now. I've got work to do!